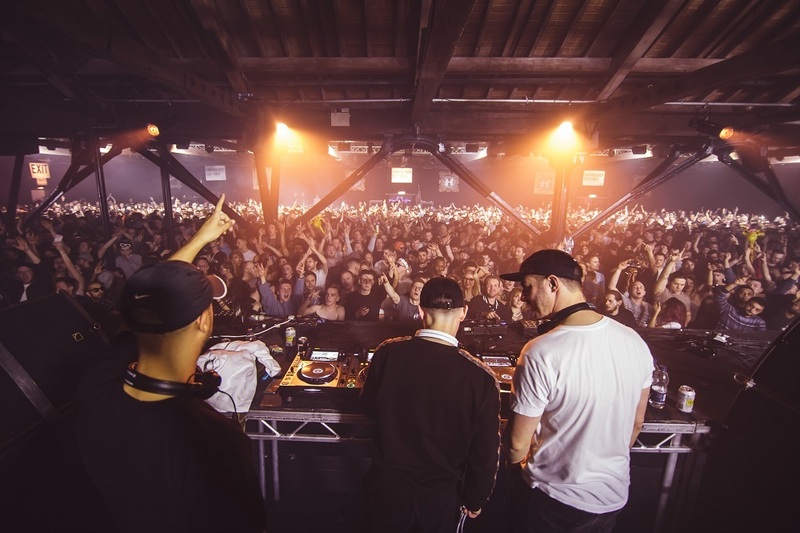 After the success of last year, Hospitality returned to London’s historic Tobacco Dock to host one of their famous parties. Kyle Webster went along to check out whether it matched the hype of its debut. It took a bit of time to adjust to the slightly surreal feeling of the surrounding: daylight outside and dark rave cave inside. 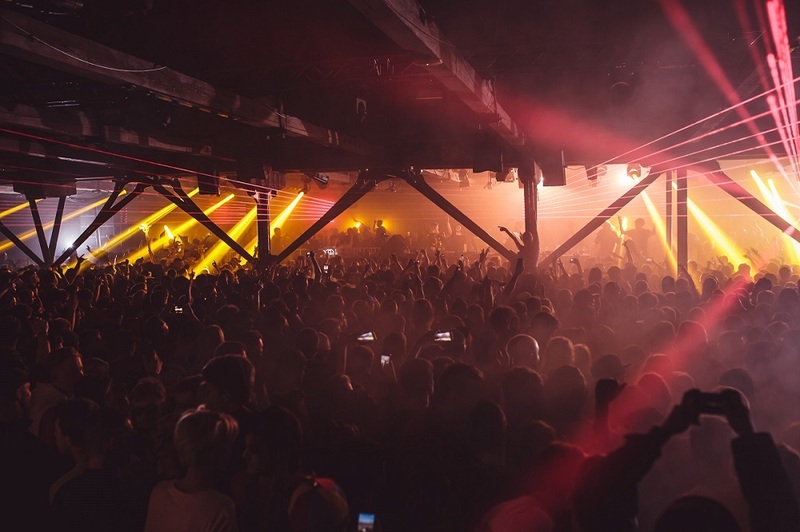 With an enviable line-up across most sub-genres and generations of Drum and Bass, we were eager to see what was on offer. We stocked up on some food in a nearby pub and headed to the venue to catch the early acts. For such a large capacity event, entry was efficient and we were quickly out into the fantastic interior of Tobacco Dock which still shows traces of its shopping centre past. It seemed like everyone else had the same idea as us to get their drinks tokens early on, but it quickly quietened down later in the afternoon and the bars, in contrast, were quick and easy. We kicked off the afternoon in the Little Gallery, a space hosted by famed raving brand Jungle Jam. 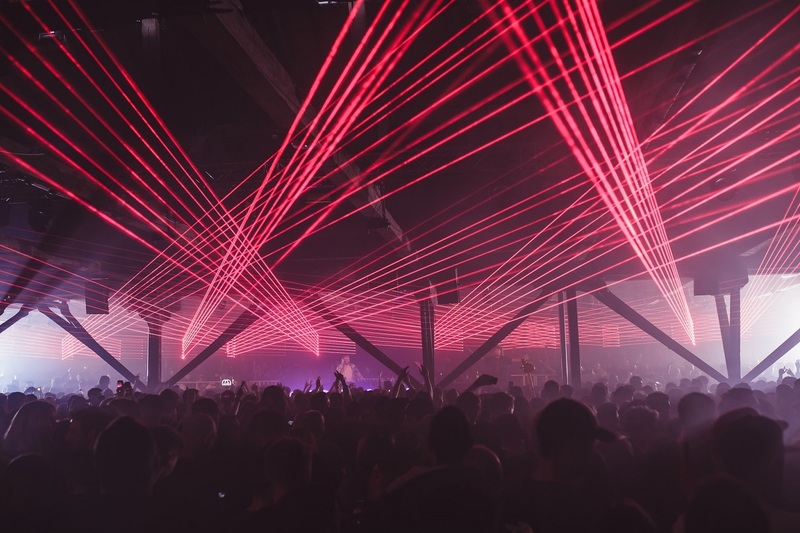 We managed to catch the end of Nu:Tone and Spy, more familiar for their liquid sets. This time, however, they were going back-to-back and serving up some fantastic dark rolling jungle. It took a bit of time to adjust to the slightly surreal feeling of the surrounding: daylight outside and dark rave cave inside. 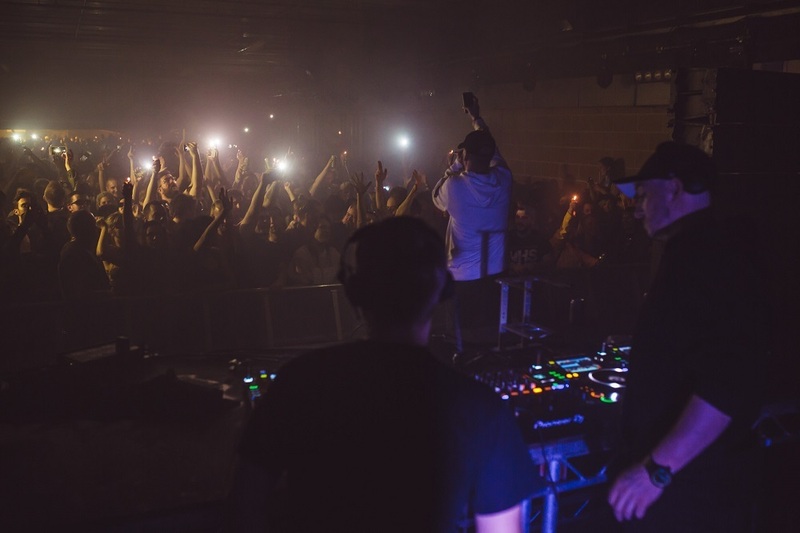 But it didn’t seem to reduce any of the crowd’s energy, especially when Randall took over with the Ragga Twins for a history lesson in jungle classics, perfefctly suited for the dark, low ceilinged room with an excellent sound system. We then decided to take it down a notch and see what was on offer in the Hospital Records artist-led Great Gallery. The short journey was in stark contrast to the dark and toasty rooms, with rain lashing down through the open roof. 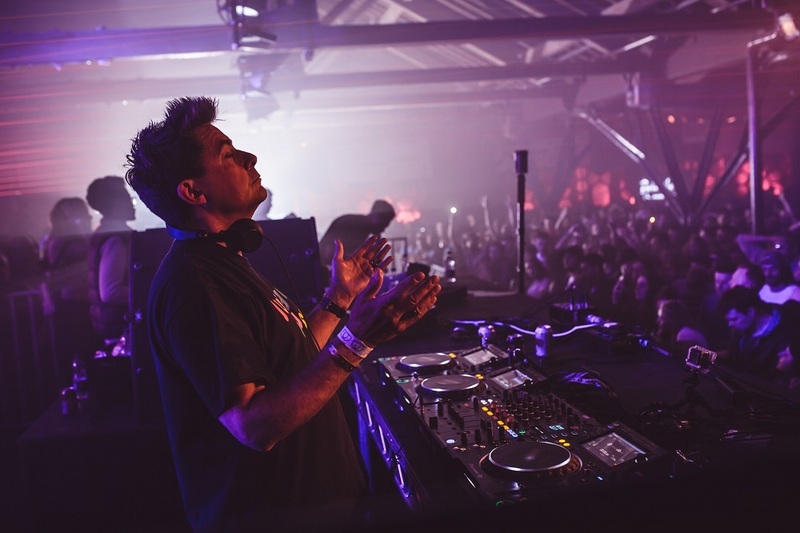 Austrian Duo were getting the crowd hyped with familiar liquid tones and set the stage for one of the highlights of the day, Hospital stalwart Danny Byrd. Danny brought barrels of energy and an eclectic but crowd pleasing set that hit all the right notes and definitely had the crowd at peak excitement. After Danny finished up we staggered out and checked out the final stage, the Car Park, which sadly felt a little bit flat, so it was only a fleeting visit before we installed ourselves back in the impressive Great Gallery to take us into the evening with both label kingpin London Elektricity and Metrik giving the familiar hospital their own twists. Unfortunately the full days raving eventually caught up with us and we sloped off into the night after a thoroughly enjoyable day. Hospital, hold a well-deserved reputation for carefully curated events. They definitely brought the right ingredients again for the second year. Combining strength in line-up with the always friendly Hospital fans and a fantastic venue. We’re already looking forward to hopefully seeing them take over again next year.